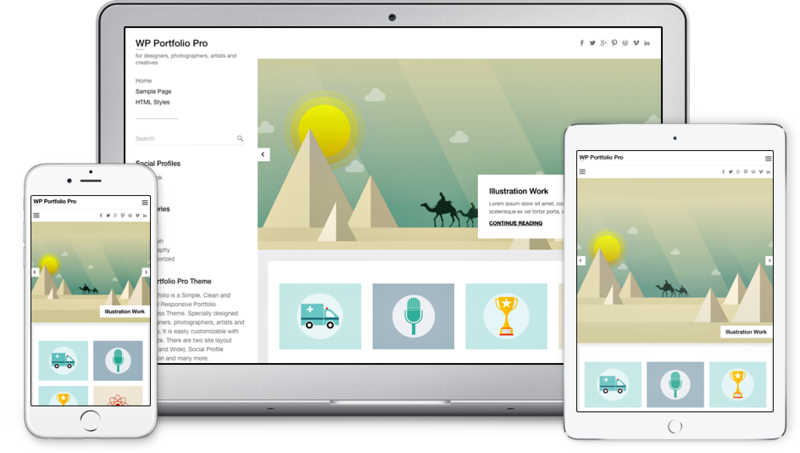 WP Portfolio Pro is the Premium version of free theme WP Portfolio. It comes with tons of options so you can customize layout, styling, colors, typography, etc. directly from customizer with live preview. It also supports popular plugins like WooCommerce, bbPress, Breadcrumb NavXT, WP-PageNavi and Contact Form 7 and many more.